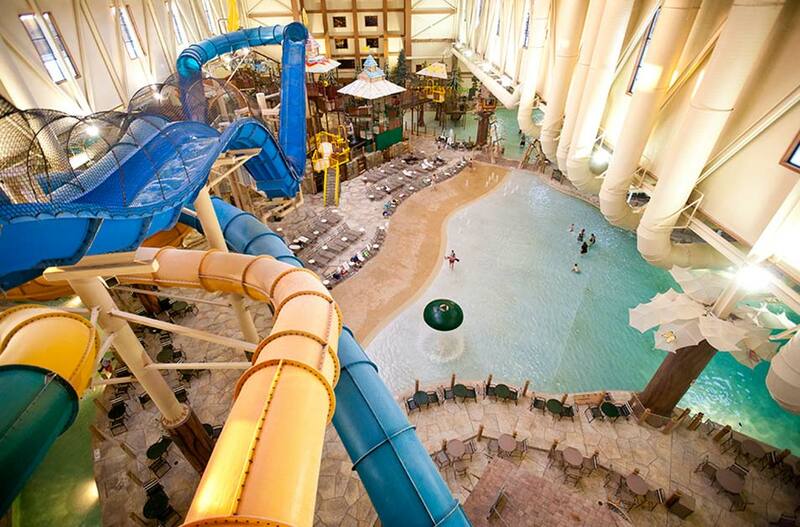 Great Wolf Lodge indoor water park resort is the perfect destination for your next family getaway, and the ideal basecamp for your next Kings Island adventure! Located adjacent to Kings Island, Great Wolf Lodge offers free parking for Lodge guests and a walking trail to the front gates of the park. Great Wolf Lodge features a 79,000 sq. ft. indoor water park, exclusive for guests and included in your stay. Visit the water park from the time you check-in through closing on your day of departure. That's two days of play with one night's stay! 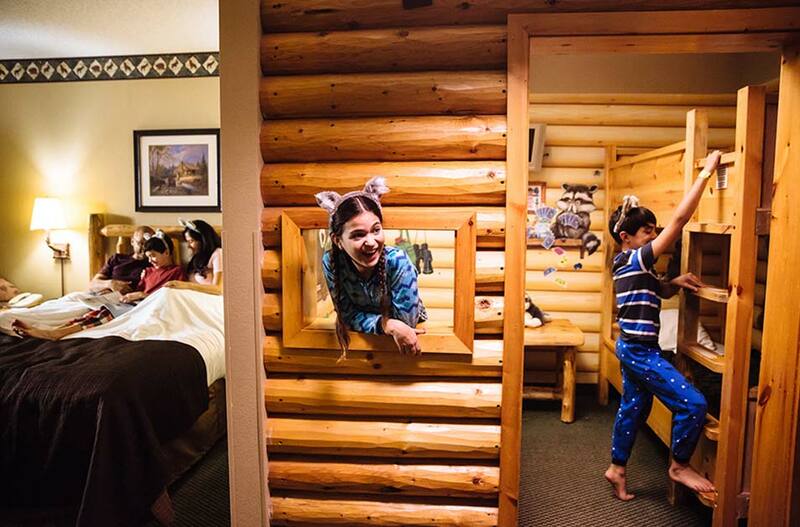 With 401 suites, Great Wolf Lodge has a place your whole pack can relax. Stay in one of our themed suites like the KidCabin suite, which has a log cabin inside your suite with bunk beds for your kids to enjoy. For the larger packs, try one of our premium suites with a private bedroom and plenty of space to spread out after a day of fun. 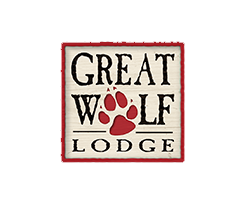 In addition to the indoor water park, themed suites and great location, Great Wolf Lodge has attractions the whole family will enjoy. 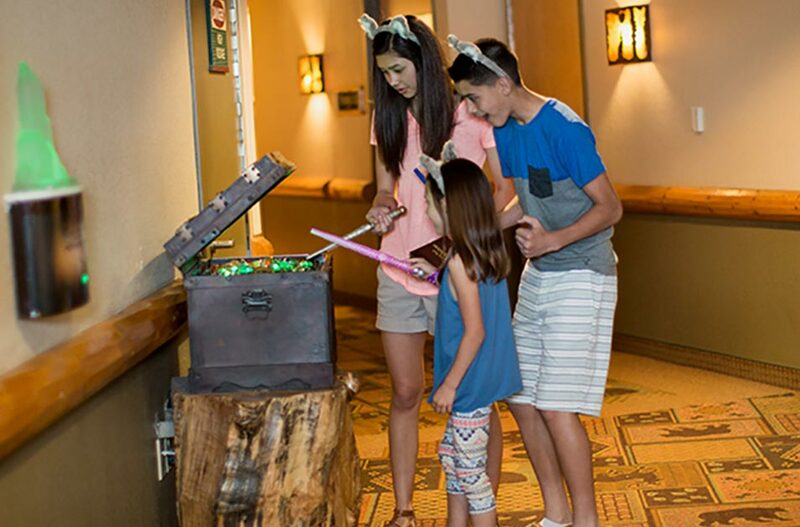 From family bowling at Ten Paw Alley or glow in the dark miniature golf at Howl at the Moon, to MagiQuest, our live action adventure that takes you throughout the lodge as you use your magic wand to gather runes, complete quests and battle the red dragon. 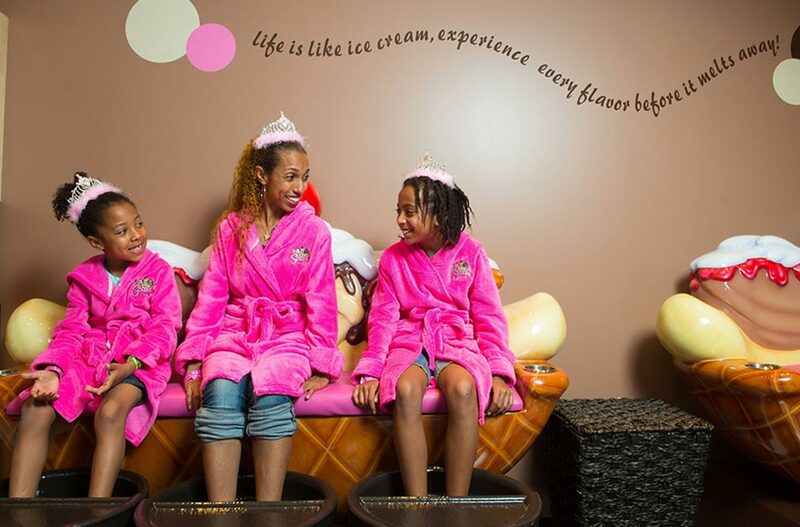 After you have played in the indoor water park and experienced all of the family attractions, Great Wolf Lodge has full service adult and kid spas, themed restaurants and so much more - all under one roof. 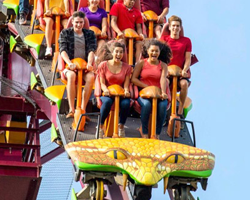 Convenient, fun, safe, weatherproof, and a great value. 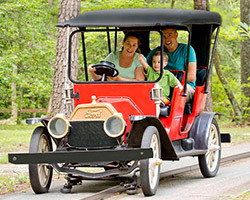 Great Wolf Lodge is simply the best option for your family's summer getaway. 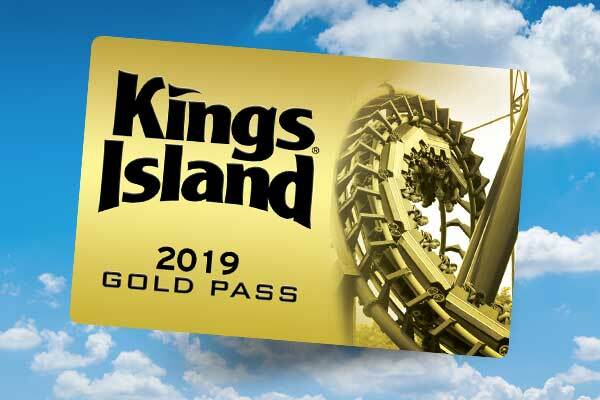 Book our offer for Kings Island visitors to not only save more, but have more fun!